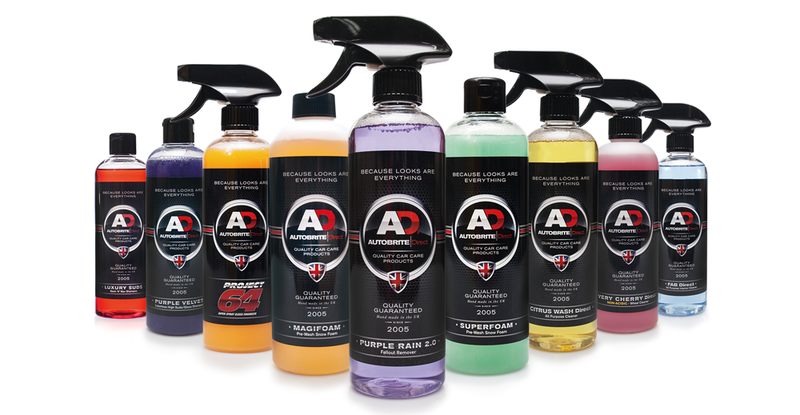 Here at Autobrite Direct we have a huge range of car care products and detailing products to choose from. We have over 150 car cleaning products and acessories ranging from car shampoo. car polish, car wax, clay bar and microfibre towels and many more. Make your car shine with our professional Autobrite Direct Car Care Range. Our products are so easy to use with excellent results every time, with effective cleaning products, great looking labels and products that really work when cleaning your car. Autobrite Direct Car Care Products are the only products you need. Here at Autobrite Direct we are constantly developed new Autobrite Direct products to product range. We search for the best car care products the best price and is developed in the UK specially selected for our Autobrite Direct customers. Being in the car care business for over the last 20 years we are dedicated and passionate to making cars shine and pass our experiance valeting knowledge onto our important clients.